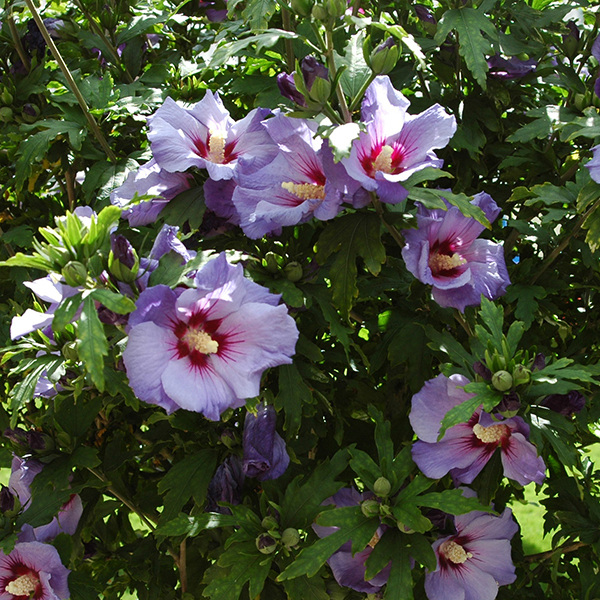 Create a fabulous exotic look to your garden or patio, with our glorious hardy Hibiscus 'Marina Blue' standard lollipop from tree - years of fabulous late summer floral displays from this ever-so-easy-to-grow tree. 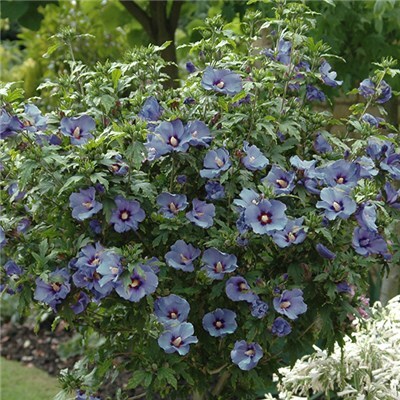 Despite looking very exotic, with the huge blue flowers, they are very tough and hardy indeed. You can therefore plant this in the garden with confidence, for displays for many years to come. Grow it in a warm, sunny spot for the longest lasting and biggest displays - they can be hungry feeders, so give them plenty of feed as they come back into leaf and set buds.